Here are the Kamaka headstock decals. Along with their years. 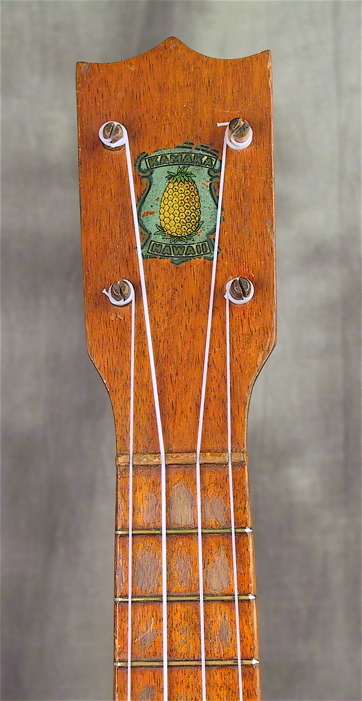 The Pineapple headstock decal, but with a silver painted brass pineapple charm glued to the headstock. 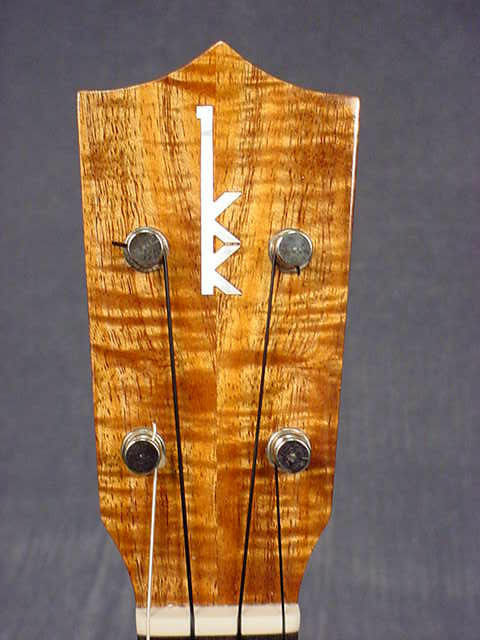 Kamaka left a message about this headstock decal. This was not done at the Factory. This was done either by individuals or a store. Thank you for that info! Beginning in 1954, until 2001, the trademarked Double K decal was used. 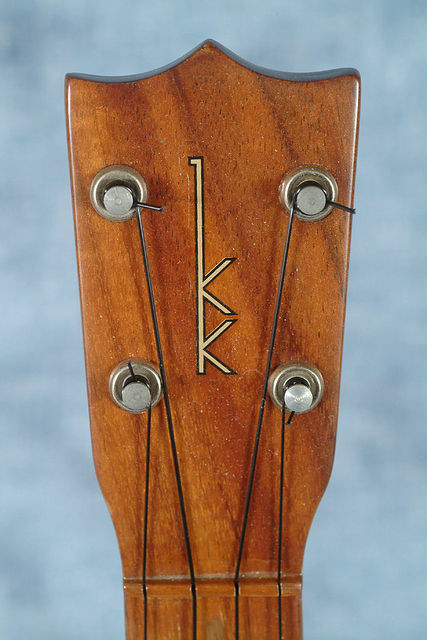 Then beginning in 2001, the Double K logo became an inlaid logo, with Mother of Pearl. 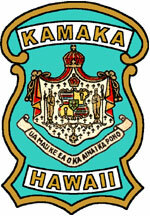 I hope this information helps you to date your Kamaka! 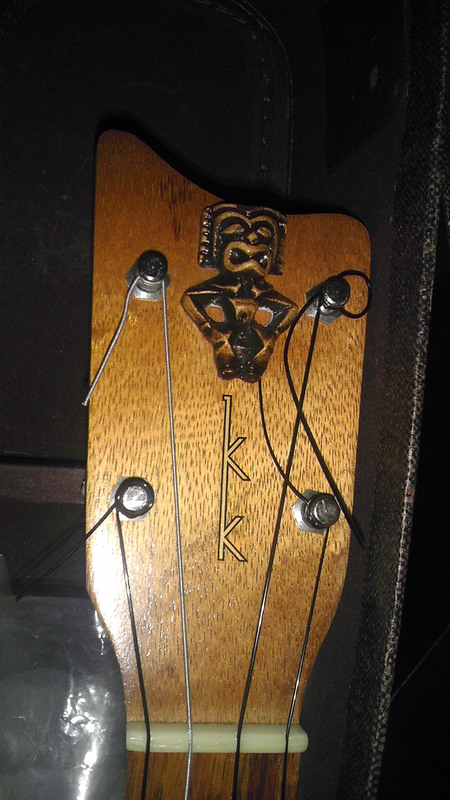 This entry was posted on June 9, 2011 at 6:08 pm and is filed under Dating Your Kamaka Ukulele, History. You can follow any responses to this entry through the RSS 2.0 feed. You can leave a response, or trackback from your own site. 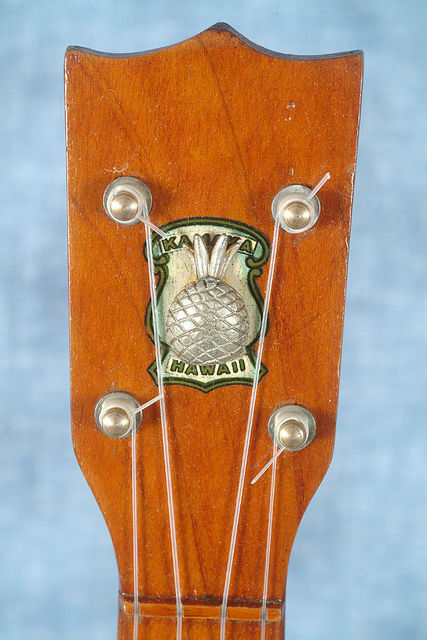 Silver painted brass pineapple charm glued to the headstock was not done at the factory. It may have been something a store did or maybe individuals. Cool! Thank you for that info! If there is anything else you notice that isn’t quite right, please share. I have a tiki gold label where the tiki is a bit different from all the others. I am thinking it was one of the first made. Do you know anything about this? Not shown on your headstock page. could you email me photos of it? Photo’s of the headstock, the label, and the date sticker inside? I have a Kamaka “Special Concert Size” that matches the label you show, and I’m pretty sure it was purchased (by my Father) in the early 20s. Thanks for your webpage. Any idea of the value (excellent condition). Could you send photos of the ukulele? Would love to have photos for the site. As for value, you’d have to check ebay to see what they are selling for. Thanks! 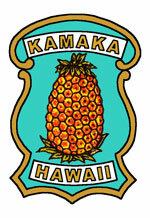 Did Kamaka ever make a gold label pineapple with no headstock logo at all? There is one on ebay, but without a headstock logo i’m not sure about it. I wouldn’t think so, but I’d call them to verify it. It could be that the logo has come off at some point. 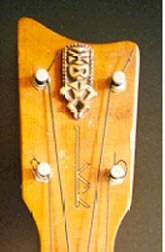 Up until 2001 the headstock logo was a decal on most instruments. I have a gold label soprano that has no decal. I wonder what happened there? ideas? It is supposed to be from the 50-60s. I have a Kamaka soprano four string from 1966-67 vintage. Purchased in Honolulu at that time when I lived there. It has the gold KK label, but at the bottom of the label it says “Honolulu, Hawaii” and NOT “Handcrafted . .. .” It also does not have a headstock decal. 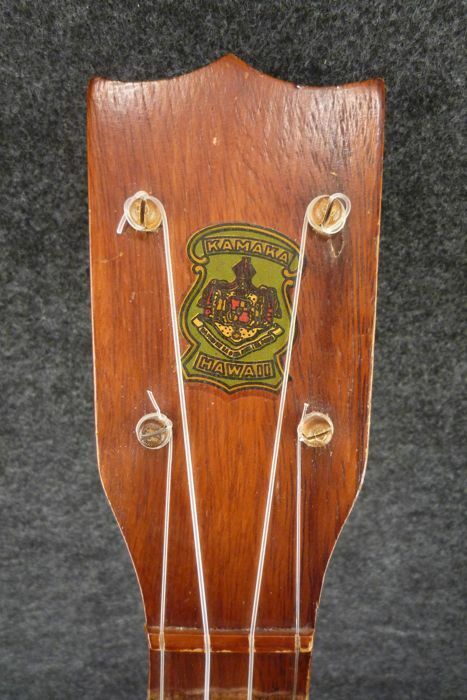 I am wondering whether anyone else is aware of this combination of characteristics for this vintage uke. Im trying to date my tiki ukuleles but i have a question about the labels. I have both short and long tiki ukuleles and both have gold labels. 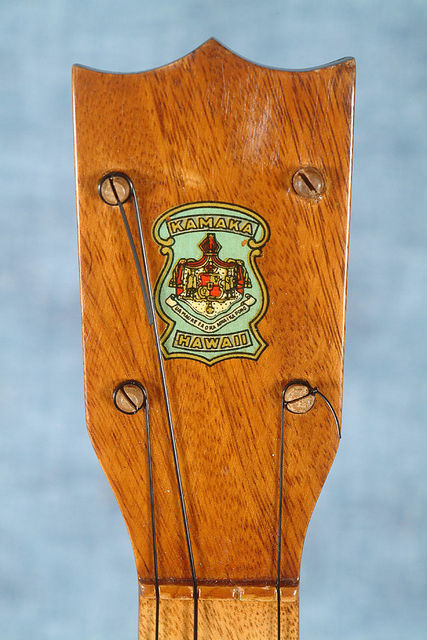 The label on the short tiki ukulele looks like the gold label you have pictured, the other ukulele gold label says Honolulu, Hawaii instead of Hawaiian Handmade. Which label did they use first?